Welcome to the first think piece from Spark. We have been growing the past few years from three high-energy big-thinkers to a team of experience design professionals. There is a lot going on with our business but for those who are new to Spark or need a refresher, here is the gist: we are experience designers, thinking about the small pieces of space, activity or processes that make something so special, you tell your friends. We think about the big picture of experiences and build tools and processes to make sure the people who deliver it can do it over and over again. Our business is talking about the experience economy strategically to help grow businesses and build brands. As experience designers we get inspired from all over, especially in our personal lives. As a kick-off and introduction to future content, we are sharing the experiences that have been top of mind for us lately. Two of our team members submitted retail experiences that stuck out to them recently, specifically from online retailers that created brick and mortar stores. 1.) Warby Parker- Amanda has been shopping for glasses her whole life and never really enjoyed the experience until she visited Warby Parker in Wynwood. To her surprise, not only was it not miserable, but she actually enjoyed herself. The knowledgeable staff that took an educational approach to helping her find glasses that fit her face--rather than a hard sell approach--put her at ease. Creating experiences isn’t just about wowing people with design; it’s about connecting with them and their emotions. Amanda didn’t know much about the Warby Parker brand, but now she can’t imagine shopping for glasses anywhere else. 2.) UntuckIt gained its fame online and airline catalogs in men’s casual wear, with its signature button-down shirt designed to be worn un-tucked. 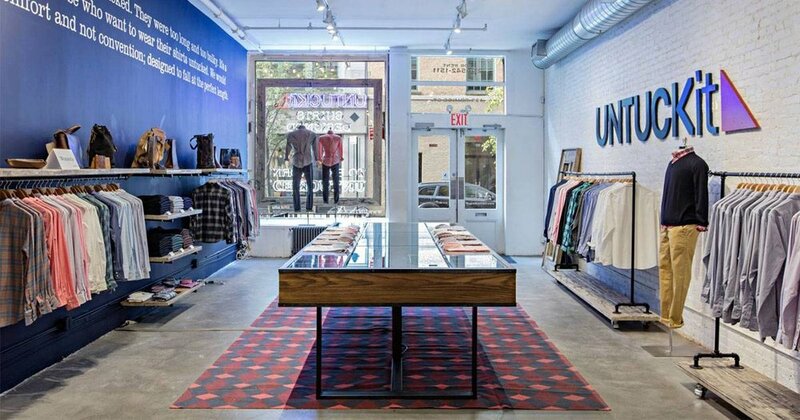 At a recent visit to the UntuckIt store in Miami, Spark team member David got to know the Untuckit brand in a new way. Shoppers were greeted and invited to explore the different styles, however there was only one size. Instead of choosing a shirt from the rack, shoppers were measured and the attendant would get his size from the backroom to try. Untuckit capitalized on two important parts of experience: they personalized and created an authentic experience centered around their product. 3.) Dabawallas - Your office lunch isn’t often a memorable experience but in Mumbai, India the fact that more than 175,000 lunches are delivered by train and bicycle six days a week is a feat of human ingenuity. The longtime practice of getting hot lunches from homes to the office workers of India is a modern marvel of logistics. The Dabawallas of India have been studied for their amazing accuracy and efficiency and offer evidence that even seemingly impossible experiences of great scale can be achieved through well-structured processes. 4.) 21 Balançoires – Montreal has long been known as a city that brings art into all parts of the city. Every spring Quartier des Spectacles, a neighborhood in the city, creates a public art display with the notion that we can achieve more together. 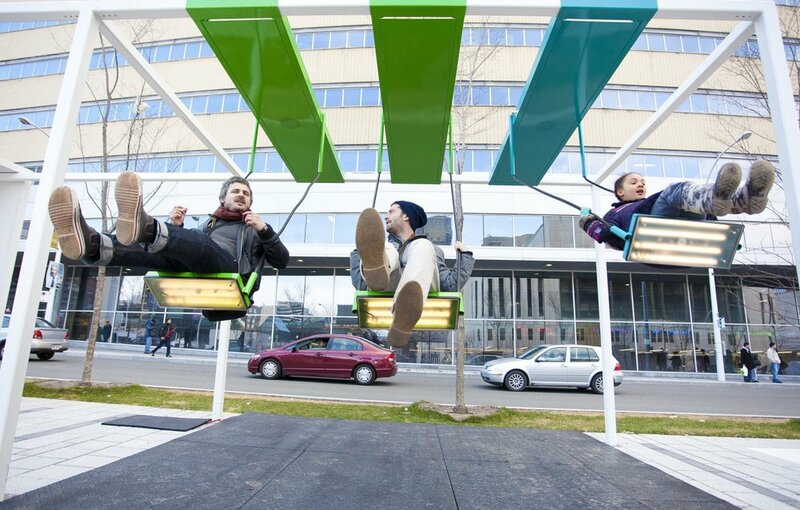 In this year’s exhibit, the city built swings that played sounds when they were in motion. As groups swung together they played notes, which created layers of beautiful music. Elegant, playful and interactive experiences like this one mark the places they inhabit and continue to build the brand of Montreal, while simultaneously building community among residents. 5.) On a recent trip to New York City, Charly took his daughters for a photography session around the city with a local photographer. He found the experience through Airbnb, which has enthusiastically embraced the experience economy as a way to grow their brand and a vessel for their core business: travel. Airbnb embraces truly local experiences and is creatively finding ways to help travelers discover those authentic experiences in ways individuals would struggle to do on their own. The beauty of this experience is that AirbnB didn’t have to create an experience, they just had to recognize what is already there and connect people. Experience is often beyond what you create, rather, it’s about maximizing the existing landscape. As for Charly, he never would have thought to do a photoshoot with his daughters, but he’s sure glad he did. 6.) When Macallan and Third Rail Projects partnered for an immersive theater experience, it wasn’t clear why a large brand would invest in a production for two-person audience, but the mystery in Behind the City and the subsequent buzz factor have made the production a success well beyond the relatively few who are able to experience the play. Macallan and Third Rail started a conversation about seeing every day life in New York as a show. Playgoers questioned if animated pedestrians were part of the story or just New York’s standard set design, making us all question if our day to day is real or produced? The ability for Macallan to start a conversation and pique our imagination is meaningful for anybrand. Sometimes, just causing us to think about a meaningful experience can have an impact. 7.) South Beach’s Food and Wine Festival is one giant experience. 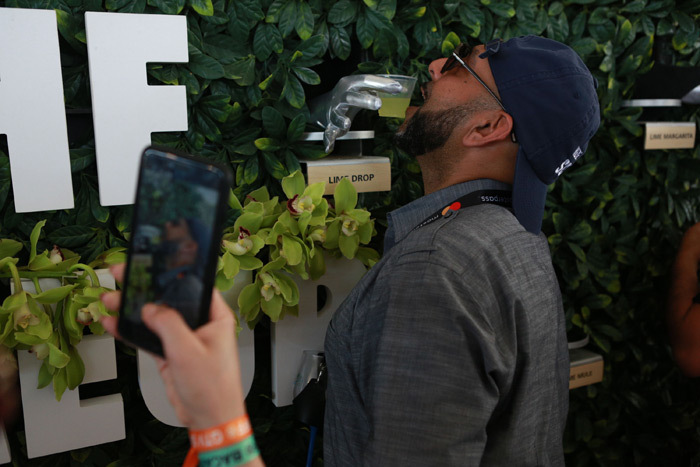 This year, Absolute was able to stand out among the brands with its live wall, which offered partygoers shots of a “magical elixir” and a great selfie moment. The “live” wall had magical hands that would reach out and pour attendees a shot of rum (and, perhaps, a sensual touch). The overall feel of the experience made it evident that the Bacardi brand was both in-tune with its consumers and also the life of the party. Older PostSET. Your Programming Insights Tool.